NEW PRICE! Come see this Pristine home! 3 Beds + Bonus +Den, Hand scraped hardwood floors, stainless appliances, granite, wainscoting, and crown molding. Close proximity to park, basketball court, walking trails and large fenced yard great for entertaining with new deck. Main floor has office/den w full bath on main level. Large bonus upstairs plumbed for kitchenette. Master suite with large walk in closet. Seasonal Views of Mt. Hood. 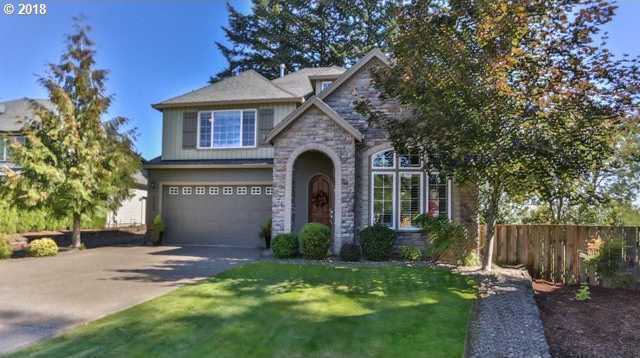 Please, send me more information on this property: MLS# 19054970 – $549,900 – 15062 Se Holland Loop, Happy Valley, OR 97086.